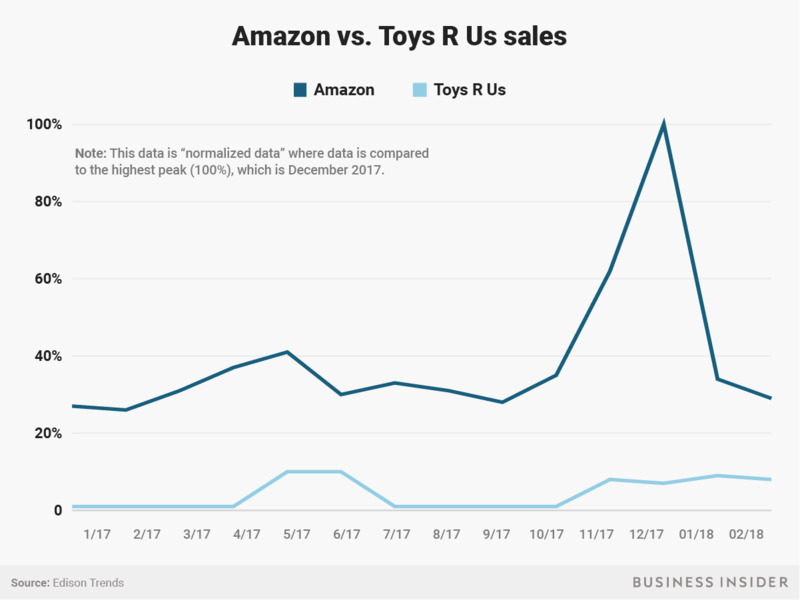 Toys R Us says Amazon,Walmart, and Target discounted toys so steeply over the holidays that the toy chain couldn’t compete. Toys R Us relies “exclusively on toys for profit,” whereas Amazon, Walmart, and Target sell a broad array of merchandise to make up for profit losses on toys, the company said in a filing. 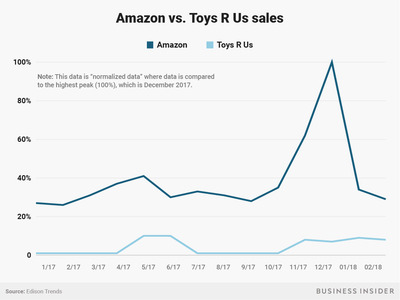 Toys R Us blamed Amazon,Walmart, and Target for creating a “perfect storm” over the holidays that sent the toy chain into a death spiral that could end in the closure of all of its US stores. Those companies slashed prices on toys so steeply in November and December at “low-margins or as loss-leaders” that Toys R Us “could not compete,” the company said in a bankruptcy filing. But Toys R US relies “exclusively on toys for profit,” so it can’t rely on other categories to soften the blow to its margins during highly promotional periods. The company said it also couldn’t compete with its rivals’ online pricing and shipping offers. “This confluence of events was a perfect storm,” Toys R Us said.